I just discovered your website tonight as I was trying to help my daughter with her K math homework sheet- decomposing numbers. I had no idea how to explain it to her, as I had never heard this term used in math before. I am a 6-8 ESL teacher and I felt like I was trying to read Greek! I ran to the huge common core binder our district gave us to look up K standards. When I asked, she seemed to have no idea how to do it. I wish the teacher had sent something home to us, like your example above. Now I know how to help her! (Just so you know, when I clicked on the link, it didn’t come up.) Thank you for teaching the parents too! Thank you so much for putting this on your blog. We just started using Common Core Standards this year and it’s been quite the adventure! Thank you for sharing! Thank you soooo much for sharing!! This is awesome!! I made Deanna Jump’s little poster thing with the common core strategies we are working on for the day, but I think I’ll post the strategies permanently by our counting numbers and weather graph too!! I LOVE how organized you are! 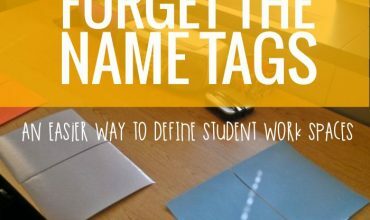 I come to your blog most of all to get better ideas for small groups!! Thanks for that!! How can I purchase the 4th quarter assessment pack? I’ve already got 1-3. 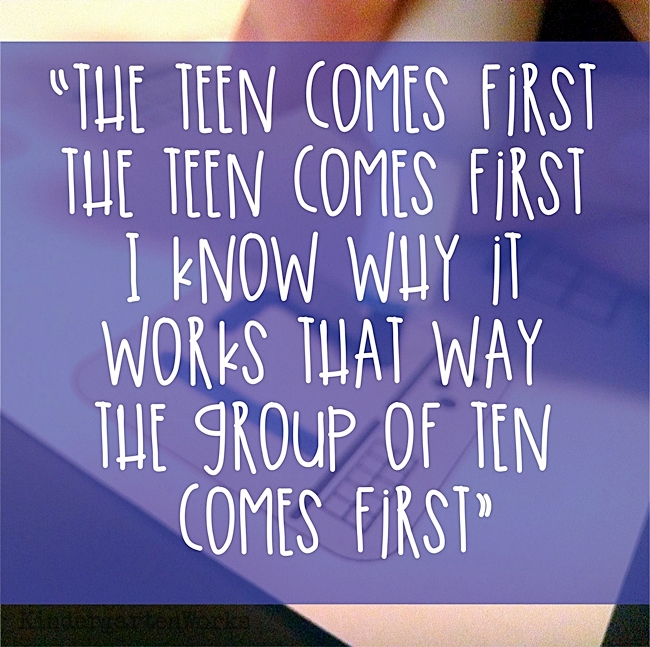 How many students are working independently as you are working with your small group? What specific activity/center/s are those students doing that allows you to work with your small group? Ellen, I can relate to the frustration factor. While my lower kinders used to be more a source of frustration when teaching whole group, I can say, that factor of waiting on them, repeating a skill as many times as needed and making other kinders practice when they’ve totally got it mastered, is long gone. Do you mean to ask what your groups that you are working with should be doing, or the groups that aren’t meeting with you should be doing? You are awesome! 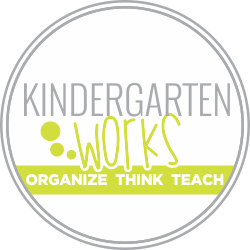 I’ve sent your blog address to our new K teacher who would love your ideas. Love this explanation! This is one of the standards that is very hard to teach. This really helps though. We are using your assessment packets but adapting a little to fit our curriculum. Do you have the 4th quarter assessment pack ready yet? The new CCS are very stressful this year! Thank you for all your work! I’m not too far away from you – in Hobart, IN. Quarter 4 is in the final editing stages! You’re welcome and thanks for touching base. 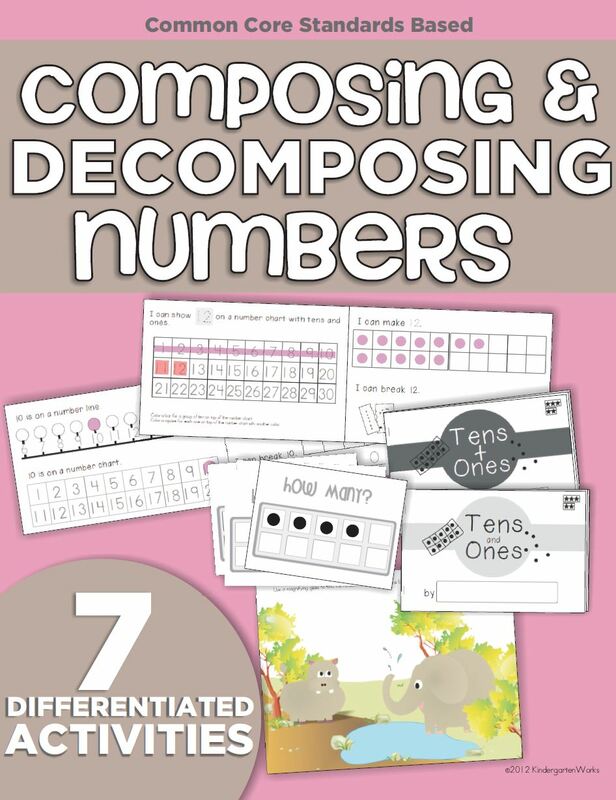 Glad that composing and decomposing are a little more simplified. Every now and then I have to re-explain it to myself (What the difference is anyways) 🙂 Can I ask about how you are adapting them? We’d love to know how you’re making the assessment packets work for you! We have a CCS based report card. Not every single standard is listed on our report card, so we only formally assess the standards required for our quarterly assessments. 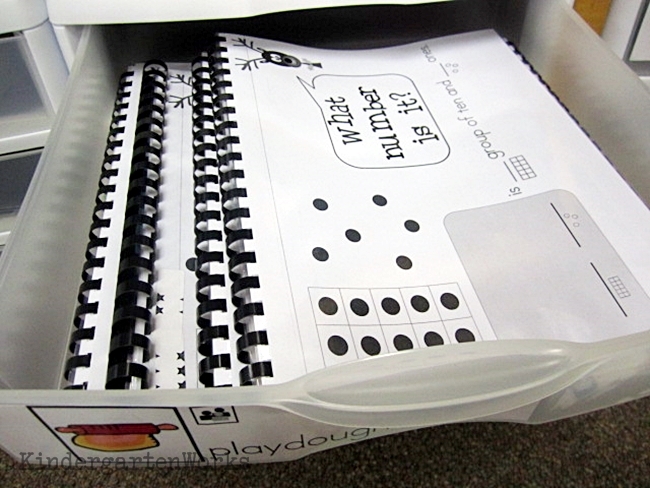 We cut and pasted the pages to match the order of our report card, to make it easier to enter into the computer. This also allowed us to conserve some paper. So our adjustments are minor. We have been very grateful for your effort. It has certainly made our job easier as we adjust to the new standards. Having one packet per student gives us a clear picture of each child’s strengths and weaknesses and allows us to adapt our teaching as needed. I start our math time everyday whole group and teach a 3-10 min. mini lesson before splitting up and we share at the end (whole group) too. So, I am able to fit in another concept in that mini-lesson which is working out really well for me. It can be completely unrelated to what we’re working on in groups which has been great for being able to hit every standard that is assigned during this quarter. 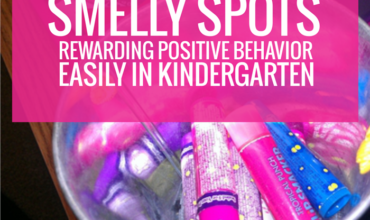 Your last statement about giving kinders what they need is right on the money. That has been the biggest reward I’ve found in doing math this way, and while it is more effort, materials and planning, it has been paying off big time! Be sure to let me know if you give it a go! I’d love to know more about your experiences! I definitely will!! Right now I have a 20 min block when I have an EIP (Early Intervention Program) teacher in my room and we do small groups, but this time is not nearly enough. I on;y see one group each day and it is just not working for me. I feel like I waste my other 60 min of math I have so this may work. When do you do calendar? Our entire math morning is just over an hour. I meet with a group who will be doing their math journals first thing in the am (after announcements) to go over their prompt. The rest of the class is doing quiet reading. 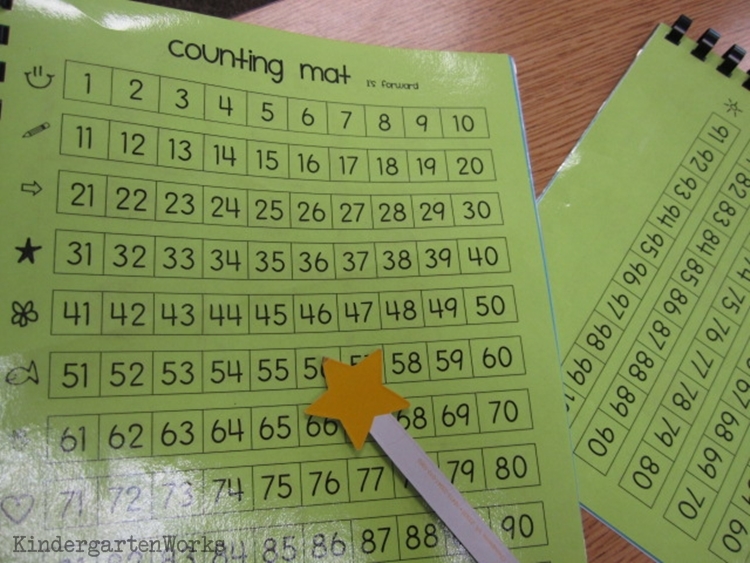 Then once math really begins we do our mini lesson before breaking into our small groups/zones. After we come together and share, then we move straight into the calendar. I’ve recently revamped my calendar to be shorter and only 15 mins. With 60 mins, that would definitely be possible! 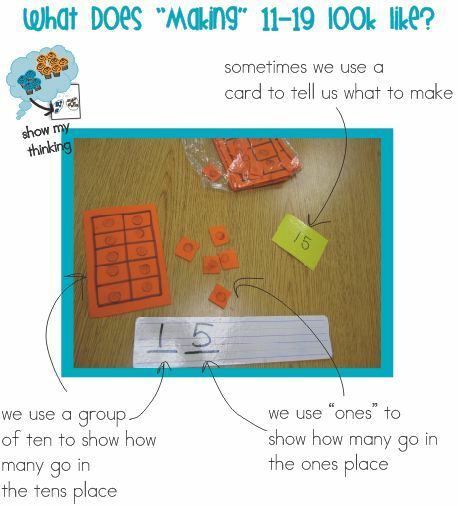 thanks for sharing your ideas……I am trying to have math stations in my classroom …. and I don’t feel like it is working. 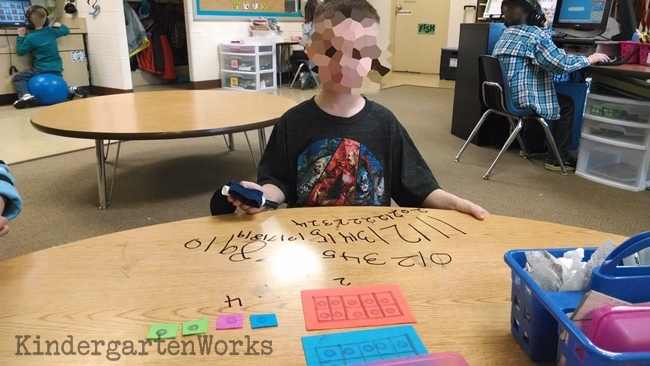 Each child seems so needy…they don’t seem to be able to to the simple tasks independently… I like the white board idea to practice to see how how you can print. Hi Sue! Its understandable that getting them to launch into working independently is very tricky! The first few weeks we really had to practice this aspect and are now working much more independently than even during our literacy center time (if I can be completely honest) but I also think having it first thing has added to that fact. While my kinders aren’t meeting with me, they are in one of three other centers/zones working on practicing math in different ways. Thanks! I think the white board piece is important to connect the making of the numeral to the objects in each place. Who ever thought I’d be teaching place value so hard in K?! 🙂 Love your blog btw!